My two sons made this blackberry jam for me for my birthday with their Dad. Very sweet. 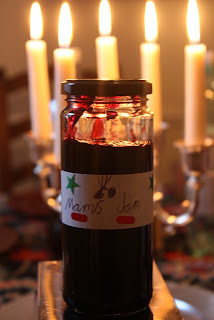 I have a Summer Fruits Jam recipe here if you feel the need to make jam - frozen fruit is fine for jam making. Half the fun is picking the jars and making the labels, I find.